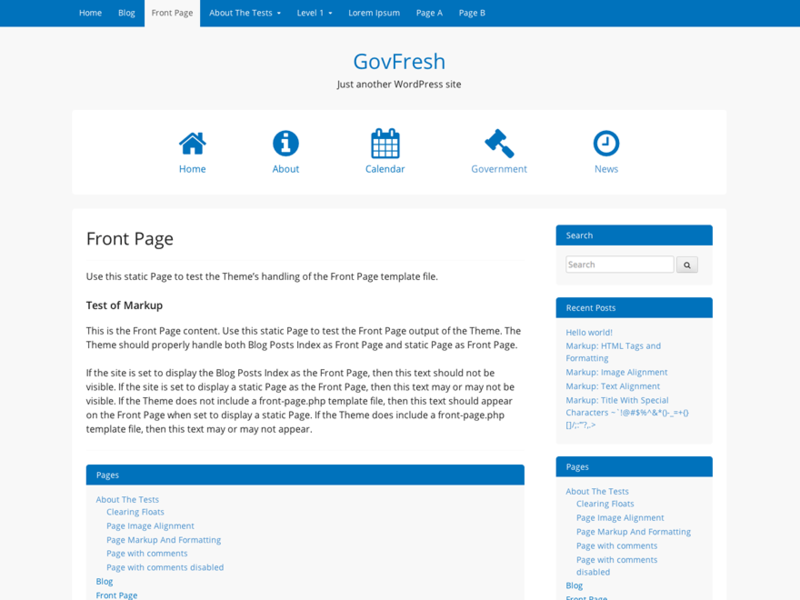 A free WordPress theme designed for government use. Features include color customizations options, custom headers, multiple widget areas, and an optional icon navigation menu. Extensive documentation and recommended plugins can be found at govpress.co. All code is peer reviewed and patches are welcome via GitHub.